Created in 2008 in Caracas, Venezuela, Ser Urbano (which means “Urban'' and ''Urban Being'' in Spanish), is an urban collective and a rare breed of artist intervention. Using art techniques and play to create fun for participants and passersby, the space brings attention to the possibilities of what we can do in public space. As a temporary public space, Ser Urbano is a meeting ground for anyone interested in the environment, public transportation, vegetarianism, non-religious spiritual life, and other alternative culture. Bicycle activist groups emerged from its Urban Picnics, including the Critical Mass bike ride. Ser Urbano creates spaces—temporal, not physical—that transform squares, sidewalks and traffic islands into sites of imaginative urbanism. We play and by playing, we provoke passersby with the sight of a city they have not seen but can now begin to imagine. Squares aren't just for sitting down to eat a sandwich or places to rush through on the way to the subway. 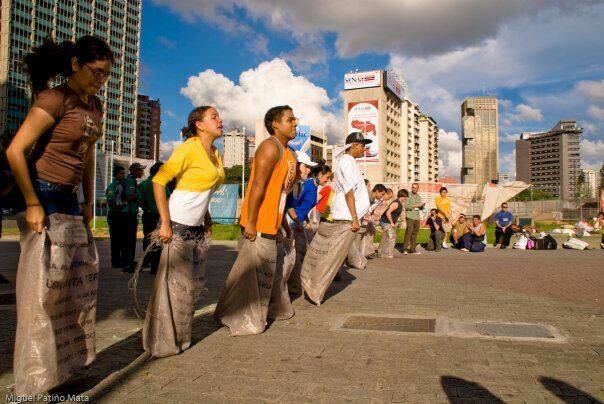 The plaza is our public living room, where we break bread with strangers at a late night picnic in downtown Caracas or invite them to compete in our Nolympics, which features a sack race and ends in an obstacle course. 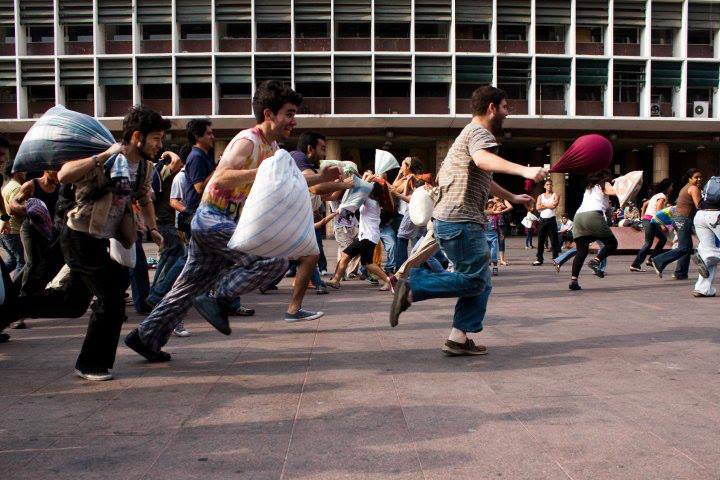 Ser Urbano has organized pillow fights, bubble battles, and Parking Day. 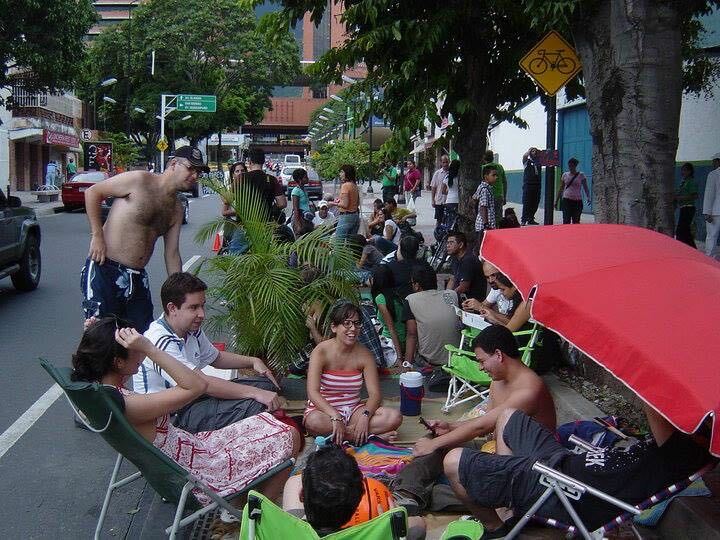 (Ser Urbano travels light; the group drops a blanket in a public space and holds its urban picnic, or it places some chairs, tables, plants, board games and books and sets up Parking Day). By playing games, Ser Urbano spurred a serious conversation on public space, its uses and possibilities, where few existed in Venezuela. 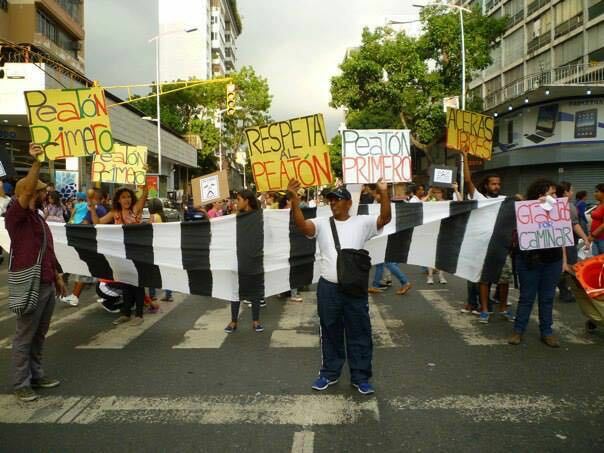 Along with other groups, it forced the people of Caracas to utter a new and unexpected phrase: pedestrian rights.